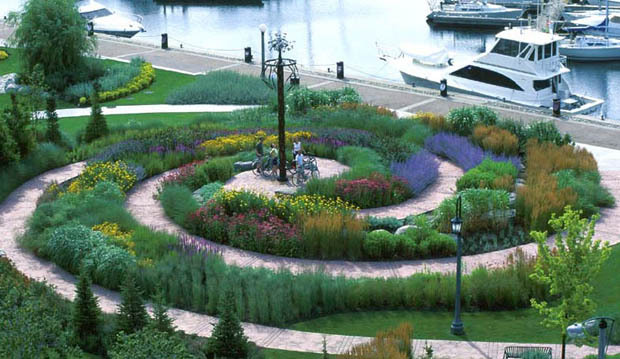 This tour features nearly four acres of themed, contemporary, urban-sized gardens, offering four seasons of inspiration and education. The 90-minute tour takes in a portion of the adjacent Edwards Gardens park as well. 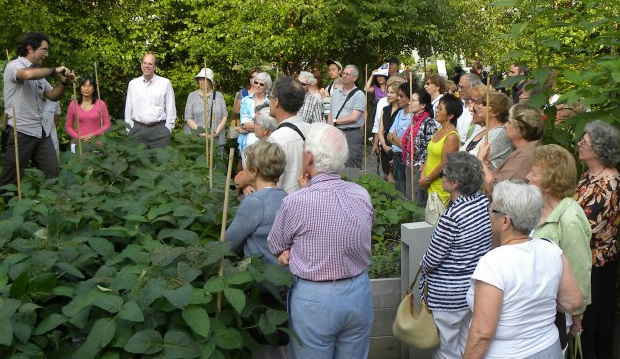 These informative and engaging tours are designed for people to gain a greater understanding of plants, garden design, the natural world and local history. Leave with great ideas for your own backyard or balcony. All tours are led by friendly and knowledgeable guides. The tour focus can also be tailored to specific group interest or physical limitations. Custom Tours: We would be happy to custom-tailor a nominally priced tour package to fit your group’s needs. Credit Card (Mastercard/Visa). Note if paying by credit card you will be contacted for the details before the tour. Conditions: Reservations are required. Please book at least two weeks in advance. Minimum 8 people are required to book a private tour. Tours will run as scheduled unless there is inclement or severe weather. Cancellation: $25 cancellation fee will be charged without 48 hours notice. Please make every effort to arrive for the tour start time. In the event of delayed arrival, tour guides will wait for a maximum of 30 minutes after which the tour is cancelled and a cancellation fee of $25 will be levied. Language: Tours are offered in English and with enough advance notice, we can arrange a guide to provide a simultaneous translation of our knowledgeable tour guide’s talk in French, German, Italian, Persian, Kurdu, Russian, Hebrew, Mandarin or Cantonese.